Data visualizations are becoming a very powerful vehicle for delivering messages besides of the aesthetics improvements. Translating all the numbers and data into a coherent and graphical display could show the overwhelming comparison between what we are paying and the kind of service we receive, then I could show it to my friends, tweet it or digg it for people to see it. Why now data visualizations are more powerful than ever? Technology, social media (blogs, twitter, facebook etc..), the creation of softwares like flash or processing to create very cool and compelling visualizations, however the most important thing is data, the data which people has access today it’s thousands of times more useful than the one available in the past. Many governments are making APIS to open their data to people, The The New York Times for example, has opened their archives to public domain, all this information and numbers can now be organized and displayed on interactive tools to talk about a specific subject and make it relevant and understandable to people. Some examples could be the cost of getting sick which is a tool to gain a deeper understanding of health care costs. The visualization must communicate a situation that is having an impact and warrants a thoughtful decision. The visualization has to show some kind of movement. A caveat: Daniel Harris at Software Advice said it best: “‘open source’ is not a synonym for ‘free,’ ‘easy,’ or ‘DIY.’” The “source” in open source is “source code,” so if you can’t code, i.e. write computer programs, the “open” part is sort of moot. There are some tools, like Tableau Public, BIRT, and Pentaho that do data visualization (and more), but they are more business intelligence software. You can find more information about that here Top 8 Free and Open Source Business Intelligence Software post. Do you want to turn spreadsheets into mobile-optimized visualizations? 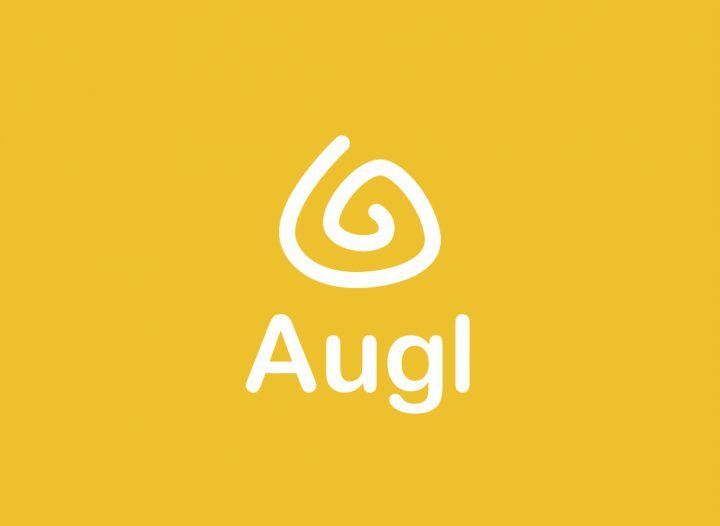 Augl founders Megan Matt and Jeff Krantz did, so they created Augl. Augl allows you convert spreadsheets (.csv, Google Sheets) into graphs that can be easily shared. The interface is simple—just import a file, and Augl turns the information into cards that can be used to make a visualization. Chartblocks, like a lot of these free programs, basically does the same thing that made Windows so successful: replace the code with a visual interface so anyone can use it. In Chartblocks’ case, that visual interface is their chart designer, which guides you through the process. With their free version, you can make up to 30 charts, export the charts as .png files (no vector graphics in this version), and get up to 5,000 monthly views. You can’t make your charts private with this, though, so don’t go charting your favorite passwords, or your friends’ social security numbers. Though that last one might not get you in trouble, so it’s your call. If you’re happy with line graphs or stacked bar charts, or you have info that looks good represented in one of those graphs (revenue growth is one of those, according to Martin Kihn), it’s hard to find an easier visualization tool than Charted. You just paste the link to a file (they support .csv, .tsv, and Google Spreadsheets), hit go, and get your graph. It’s a pared down option, but one that still looks sharp, and has a learning curve simpler than peeling a banana. Datawrapper offers a range of pay versions, but if you’re reading this, you’re probably more interested in their free option. The free version’s good for one user, but don’t let that stop you from considering Datawrapper. if you’ve got a small business, or are just looking to supplement a presentation or report, this could be a viable option. It is, however, only good for 10,000 views per chart, so if you’re dealing with more customers, you’ll want to consider upgrading to a paid version. Datawrapper’s also optimized for mobile devices. Given that “56 percent of consumer traffic to the leading US websites is now from mobile devices,” that’s a big positive for Datawrapper. Palladio was specifically designed for history teachers, but is also useful for businessmen. Palladio has a simple drag-and-drop interface, and can convert CSV, TAB, or TSV files. The range of visualizations you can make is short (maps, galleries, graphs and lists), but if you’re looking to make something like a map of customer locations, or a gallery of customers with into about them (see pic for example), Palladio could be useful. Raw’s biggest benefit may be how idiot-proof it is. The interface is easy to pick up. You drag and drop, then click on the kind of visualization you want to make from a chart. Among these free data visualization tools, Raw may win the “best user interface” award for how easy they make it to choose a chart and turn your data into a visual. Silk’s another free, easy visualization tool. Use it to create a page that lives at a Silk domain. Silk transforms your spreadsheet files (CSV, Google Sheets, or Excel) into a range of visualizations, from bar charts to donut charts to spread graphs. A few heads-ups: Be sure your spreadsheet has a row with category names at the top, and make sure your data doesn’t have any merged cells or nested tables. Also, all data on Silk is publicly visible, so don’t share anything confidential. Timelines are to history what directions are on maps: they show how one thing led to another. Timelines can also be a great way to enliven reports, especially when a tool like Timeline allows you to design and embed them for free. If you’ve got a Google Drive account, just make a Google Spreadsheet using a template Timeline provides, embed it on your website, and you’ve got something as slick as this article’s timeline on the spread of ISIS (you’ll have to scroll down a bit), which was made with this tool. If you’re making a map and want the colors to pop, ColorBrewer’s a good choice. ColorBrewer has 35 basic color schemes for any map you may be making. The schemes are designed so that the colors don’t look too similar. Though ColorBrewer isn’t mapping software itself, it will make your maps look better. Google Charts can be your company’s data oompa-loompas. How impressive is their range of visualizations? They’ve got Sankey diagrams. I’ve been reading about free data visualization tools for several days now, and have yet to have seen that term. That’s like an oompa-loompa who can do your taxes while he sings about “accidental” borderline child murder. Some places to look up for interesting projects of data visualization.